Realm Royale, Hi-Rez’s answer to Fortnite, will be expanding in the traditional way: by adding cosmetics. 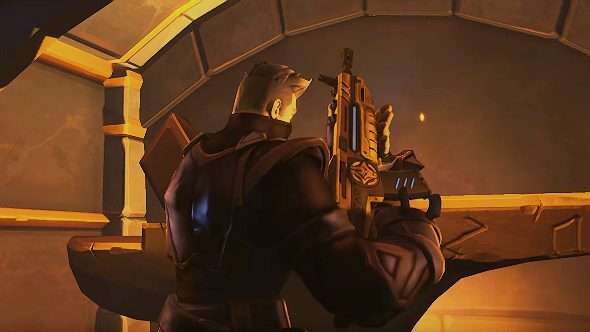 But the developer says none of its plans for monetization will affect gameplay, and that Realm Royale will always be free-to-play. Since launching on June 5th, Realm Royale has impressed with its new ideas on a now-familiar genre. Sure, that art style is a touch derivative, and we all know the basic rules of a battle royale by now. But Realm Royale has its own ideas – or, at least, it’s pulling ideas that are new to battle royale into the genre from elsewhere in gaming. Check our Realm Royale tips and see which is the best battle royale game? There’s a class system, for instance, and the forges scattered around the map make for tense focal points of action in the midgame, where you can craft legendary gear to give you an edge against the last few players. Plus, when you’re downed, you turn into a chubby chicken. These concepts all make for natural points where monetized cosmetics could come into play, and Hi-Rez says it’ll be adding cosmetic skins for many of the game’s regular items. “You’ll have different mount skins, chicken skins,” Realm Royale executive producer Rory Newbrough says. It’s easy to imagine any number of other skinnable game concepts, too – elite skins for each of Realm Royale’s classes, or rare looks for the game’s legendary armour and weapons. Newbrough says Hi-Rez will be adding “all kinds of systems” to the game’s front end, giving players more stuff to collect and keep outside of matches. But the game itself is going to stay free.